The KanexPro MX-HDBT8X818G matrix switcher is a professional 8 HDMI input to 6 HDBaseT output with 2 local HDMI output switches designed for switching and extending HDR, Dolby Vision content with digital audio to multiple zones with simple control. 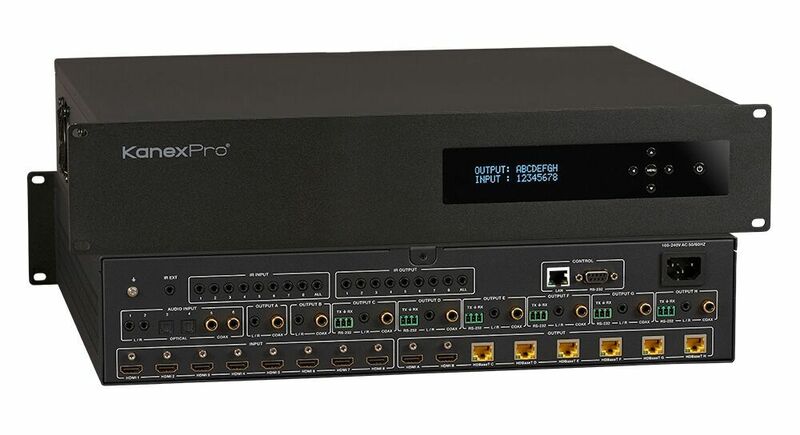 This switcher features independent audio routing regardless of video, ideal for house of worship applicatinos and multi-room premium home theater applications where audio can be sent anywhere supporting digital formats. 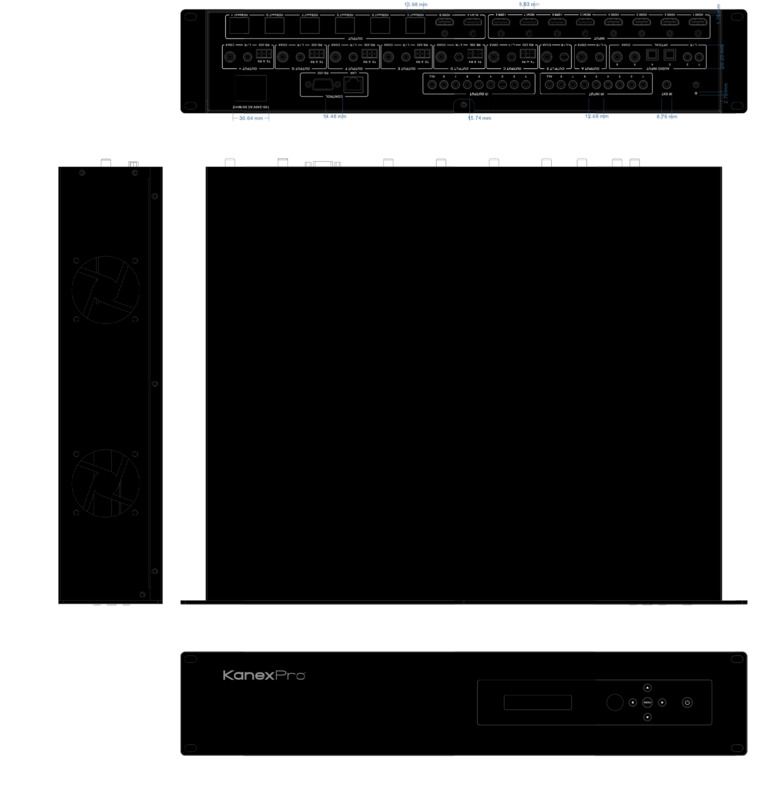 The 8x8 matrix switches its inputs and outputs over CAT5e/6 utilizing HDBaseT technology to deliver pristine 4K/60Hz with HDR10 and Dolby Vision. It is HDCP 2.2 compliant and supports video resolutions up to 4K2K@60Hz, 4:4:4 and multi-channel digital audio. 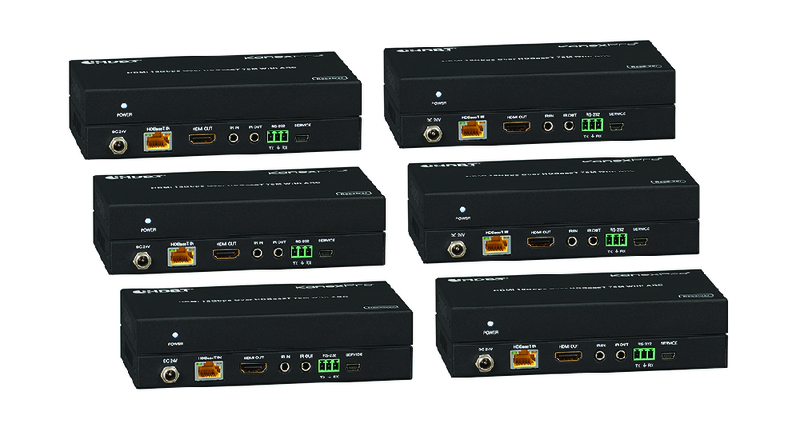 Designed for mid-scale applications, such as multi-zone home theaters, houses of worship, and medical imaging, the HDMI 2.0 matrix can be easily controlled through the front panel buttons, IR, RS-232, Telnet and Web GUI, or custom drivers to control with any third-party integration system, such as Savant, Control4, Crestron, and many others. Ideally designed for higher education environments such as smart classrooms, multi-zone residential homes or commercial distribution applications where there is a need to create an audio matrix of its own regardless of 4K video.